The Ministry of Local Government and Rural Development has signed an agreement with Municipal Assemblies to implement the Ghana Secondary Cities Support Programme (GSCSP). The programme is a successor to the Local Government Capacity Support Project (LGCSP) which ended in 2018 and is designed to improve urban development management and basic urban services in 25 participating Municipal Assemblies. It was successfully negotiated by the Local Government Ministry in collaboration with the Ministry of Finance and the World Bank, approved by Cabinet, Parliament and the Board of the World Bank, and became effective on February 5, 2019. The programme is a $100 million credit facility based on the World Bank’s Programme for Result (PforR), which places emphasis on delivering results. “As the name suggests, participating Assemblies will only receive grants based on the results they produce”. “Its focus is to ensure that Officers in the participating Assemblies become effective Urban Managers and need to be at their best to be able to access the funds available at the various performance assessment levels”. Hajia Alima Mahama, Minister for Local Government and Rural Development disclosed this at a sensitisation workshop and the signing of the Programme’s agreement with the beneficiary Regional Coordinating Councils, the participating Municipal Assemblies and the Office of the Head of the Local Government Service (OHLGS) in Accra. “The other participating institutions are; the Environmental Protection Agency, the Land Valuation Division of the Lands Commission, Land Use and Spatial Planning Authority and the Commission on Human Rights and Administrative Justice”. She said the then LGCSP was implemented by 46 Metropolitan and Municipal Assemblies and delivered development interventions covering the educational, health, economy, justice and security sectors and capacity building in urban management. 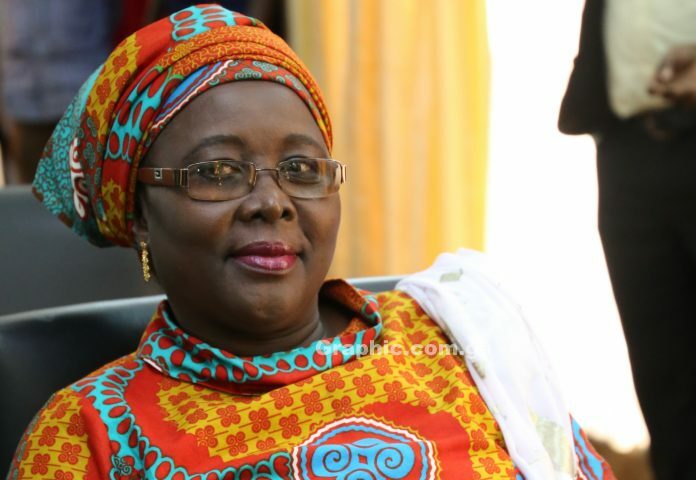 Hajia Mahama who is also the Member of Parliament for Nalerigu/Gambaga said the then LGCSP contributed immensely across its four implementing Components by improving fiscal decentralisation through the establishment of an intergovernmental fiscal transfer system, which was led by the Ministry of Finance for which the OHLGS worked to improve the capacity of its staff in the participating Metropolitan and Municipal Assemblies. It will enable them to deal effectively with critical urban issues like revenue mobilisation, street addressing and improved service delivery. “It also improved citizen’s involvement in local governance issues through the institutionalisation of Town Hall Meetings and also the empowerment of citizens through the Social Public Expenditure and Financial Accountability Fora; and the improvement in the performance of Assemblies in priority infrastructure and service deliveries as a result of the performance-based Urban Development Grant (UDG) system”. She said the focus on secondary cities and “greater urban areas” of the GSCSP aligns with the country’s commitment to urbanisation as a strategy for sustainable development. This, the Minister said also feeds into the New Urban Agenda Document and the Sustainable Development Goal 11, which focuses on delivering resilient urban cities and communities. She said the GSCSP will be operated within the framework of the National Decentralisation Action Plan and the National Urban Policy and Action Plan and will adopt the performance-based grant system for the release of Urban Development Grants. “The release of grants to the Participating assemblies will be based on the success in the DPAT Assessment, Urban Population of the Assembly and Scoring high on Urban Performance Benchmarks covering: Urban Planning and Services, Urban Economic Development and Competitiveness, Building and maintaining Sustainable Urban Systems and Efficient Urban Infrastructure Delivery”. According to the Minister, there is a menu of investments, which outlined projects that can be funded under the Programme. “The participating Assemblies are to draw up Urban Development Action Plans that would be extracted from the Assemblies’ Medium-Term Development Plan and must be vetted by the Ministry before implementation. She thanked President Nana Addo Dankwa Akufo-Addo and the World Bank Team for their continuous support for the development of Ghanaians and assure them of the beneficiaries’ commitment to ensuring a successful delivery of the Programme Development Objectives of the GSCSP. The Ministry of Local Government and Rural Development is strongly committed to the overall development of Metropolitan, Municipal and District Assemblies (MMDAs). It is also deeply committed to ensuring that Decentralisation is strengthened at all levels, especially at the Regional and MMDA levels. Amansie central district capital Jacobi is dying kindly save it from total ruin Madam minister. The town did not see a single project in the previous government of NDC. The current DCE too is adamant. Visit the town to see things yourself. What worries me the hospital road. The DCE uses the same root to his residence but careless. This DCE was sacked by Kufour’s government. We doubt why this thief was brought back and the Assembly too voted for him.